A reputed drug kingpin from Mexico has been busted in New York, authorities say. DEA sources say the man was a major operative of a cartel that was using, as one of its headquarters, a building better known for being in the series Seinfeld. An alleged drug kingpin has been indicted on charges of flooding the New York City area with enough fentanyl to kill about 10 million people in an operation based out of an apartment that was featured in the hit 1990s sitcom "Seinfeld," prosecutors announced Tuesday. Francisco Quiroz-Zamora is charged with the state's top narcotics charge, operating as a major trafficker, as well as conspiracy and criminal sale of a controlled substance. He and five co-defendants are named in the indictment. 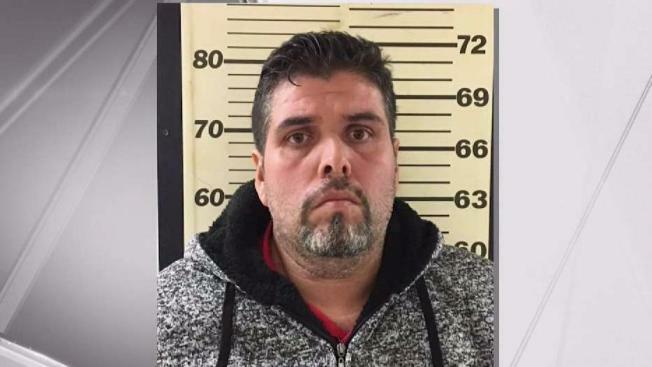 Quiroz-Zamora, 41, was initially arrested in a sting operation late last year after he traveled to New York City to collect a payment from an undercover agent posing as a drug dealer, authorities said. An indictment in state court charges him in connection with the seizure of more than 44 pounds of fentanyl last year at a hotel in the Bronx and at a Central Park West apartment used as a stash house. That Central Park West building was used for exterior shots of Elaine Benes' apartment in "Seinfeld;" interior sets for the show -- including the inside of Benes' apartment -- were all in Los Angeles. Quiroz-Zamora pleaded not guilty and was held without bail. Another defendant, Carlos Ramirez, also pleaded not guilty and is being held in lieu of $200,000 bail at an arraignment on Tuesday. His attorney said his client is innocent and did not know about the operation. Last year, seizures of fentanyl in cases brought by the narcotics prosecutor increased from 35 pounds to 491 pounds. At the same time, fatal overdoses tied to fentanyl reached an all-time high of more than 1,400 in New York City in 2017, officials said. The drug is far stronger than heroin and cheaper to produce, making the potential profit margin much higher for traffickers who usually mix it with heroin for sale to users who often don't know what they're getting, officials said. "In New York City and across the nation, fentanyl is causing untold tragedy as it pushes the number of overdose deaths ever higher,” Special Narcotics Prosecutor Bridget Brennan said in a statement. "This indictment demonstrates our collaborative approach and commitment to tracking those at the top of the lethal supply chain and putting them out of business permanently." According to U.S. authorities, Quiroz-Zamora, who lived in San Jose del Cabo in Baja, had the drugs smuggled by cars, trucks and couriers over the border into Arizona and California before the supplies reached the New York City area. Last year, an undercover officer posing as a drug dealer reached Quiroz-Zamora by phone and struck a deal with him to buy the fentanyl for between $45,000 and $50,000 per kilo, authorities said. In November, Quiroz-Zamora traveled to New York to collect a payment from the undercover officer, authorities said. Agents intercepted him as he arrived by train at Penn Station in Manhattan. "This investigation provides the American public with an inside view of a day in the life of a Sinaloa Cartel drug trafficker, including international travel, money pick-ups, and clandestine meetings,” DEA Special Agent in Charge James Hunt said in a statement. "At the cusp of mainstream fentanyl overdoses, Quiroz-Zamora oversaw the delivery of multi-kilogram loads of fentanyl to New York, powerful enough to kill millions."